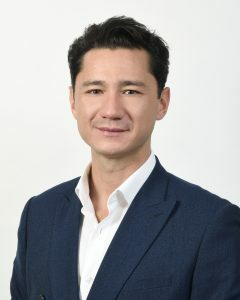 Hamilton Re, the reinsurance arm of Bermuda-based Hamilton Insurance Group, has promoted Liam Chan to the position of Senior Vice President (SVP), Casualty & Specialty. Reporting to Tim Duffin, Chan will underwrite a broad portfolio of casualty and professional lines business including several specialty classes. Chan joined Hamilton Re in 2015 as Vice President, Casualty & Specialty after spending eight years with Brit Insurance. He began his career in London in Brit’s graduate program, gaining experience in underwriting, actuarial and claims before becoming a casualty treaty underwriter. In this role, Chain focused on the London international reinsurance and retrocession market, and specialised in professional indemnity, financial institutions, directors’ and officers’ liability, general liability and motor, as well as various specialty lines. “This is a well-deserved promotion,” said Kathleen Reardon, Chief Executive Officer (CEO) of Hamilton Re. The announcement also follows the recent appointment of Hiscox Re’s David Roache as SVP, Head of Risk XS at Hamilton Re.